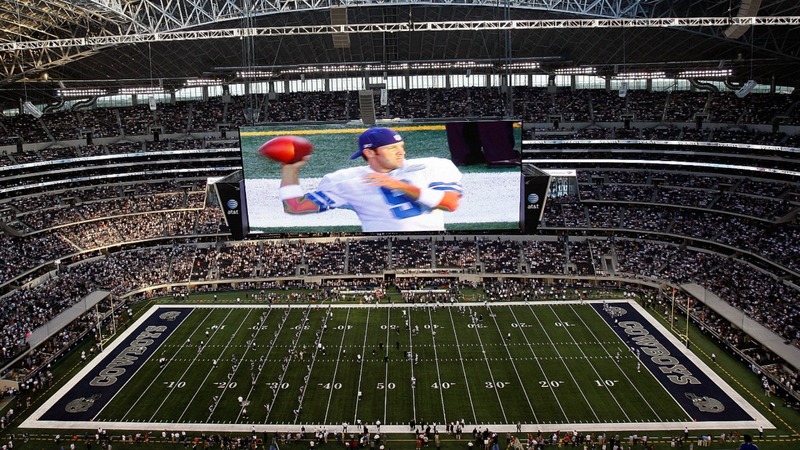 When Jerry Jones opened the doors to AT&T Stadium in 2009, he made good on the phrase "everything’s bigger in Texas." That saying applied to the monstrosity of the stadium itself, as well as the gigantic video board smack-dab in the middle. Coming in at 60 yards long, the screen was the largest high-definition television at the time it was installed. While it no longer holds that title thanks to the new one at nearby Texas Motor Speedway, it’s still massive in size. While it’s nice to have a television that big, maintenance is difficult — and seemingly somewhat dangerous. If you’ve ever wondered how the Cowboys clean that thing, you’ll be surprised to know they use power washers. Disclaimer: Do not try that at home on your 50-inch TV. Doing so will (most likely) obliterate and ruin your television.